Volkswagen continues to manifest its diesel leadership among all car manufacturers. For 2013, it has sold more than 100,000 TDI Clean Diesel models for its mainstream Volkswagen and luxury Audi brands combined, the first time it has reached that milestone. Volkswagen Group of America leads the market in clean diesel technology, engines that provide as much as a 30 percent boost in fuel economy over comparable gasoline engines. Its diesels also burn 12 to 30 percent lower carbon dioxide emissions than gasoline engines. Diesels do carry a price premium and diesel fuel is costlier than regular grade gasoline. However, these engines are more durable and last longer. Indeed, the Volkswagen Group is so dominate with diesels it claims more than 75 percent of the market for passenger cars and sport utility vehicles. And unlike other manufacturers, Volkswagen has been in the market for decades, beginning with the 1977 Volkswagen Rabbit, the first of a long list of models to offer a diesel option. BMW, Chevrolet, GMC, Jeep, and Mercedes-Benz also offer diesels. For 2014, the following Volkswagen models have a diesel option: Passat, Golf, Beetle, Beetle Convertible, Jetta, and the Jetta Sportswagen. 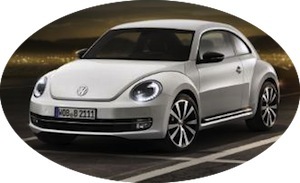 Each model offers a 2.0-liter TDI engine paired with 6-speed manual or 6-speed automatic transmissions. As equipped, the midsize Volkswagen Passat sedan offers top fuel economy, making 31 mpg in the city and 43 mpg on the highway. A seventh model, the Volkswagen Touareg, is powered by a 3.0-liter six cylinder turbo diesel engine. Audi is represented by five diesel models for 2014: A6 quattro, A7 quattro, A8 L, Q5, and Q7. Each model is paired with a 3.0-liter turbo diesel six cylinder engine paired with an eight-speed automatic transmission with manual shifting capabilities. Top fuel economy of 24 mpg in the city and 38 mpg on the highway is achieved with both the A6 and A7 models. Come summer 2014, Audi intends to add a sixth diesel model, the all-new A3 TDI Sedan. From concept to reality? Volkswagen CrossBlue, a hybrid SUV. As for brand sales, Volkswagen will finish the year with a net decrease while Audi sales continue to rise. Indeed, Volkswagen sales are down 5.2 percent through Nov. 2013, while Audi is up by 13.3 percent according to AutoData Corp. The full US market is up by 8.4 percent for the first 11 months of 2013. 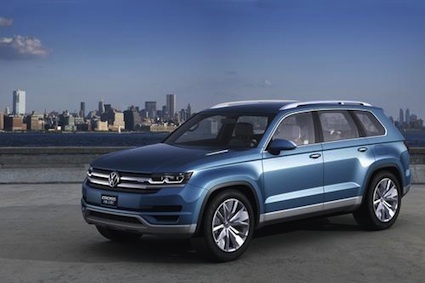 Volkswagen is also looking to add a second model to its sole US manufacturing plant. The Chattanooga, Tenn., facility produces the Passat and may soon be joined by the CrossBlue SUV, a hybrid diesel concept introduced at the 2013 North American International Auto Show in Detroit. Photos courtesy of Volkswagen Group of America.